In our world currently, everyone around us seems to have a position they maintain on almost every issue. In such moments, as Christians, we can find ourselves at odds with how the world thinks. Because our faith demands that we think and respond to these issues biblically, we can face a great amount of pressure from those around us to give in to the way they think and to even give up on our faith. In the face of these adversities, how do we take a stand when it seems everyone else around us is bowing to the world? How do we live out our faith in these situations? Join us as we explore the book of Daniel in our Sermon series, "Following God When No One Else Does." Here we examine Daniel's life to see how we can follow God in a culture that is opposed to Him and His people. We live in a culture that in many aspects, have declared themselves free of God. We see this in our politics, education, pop-culture, technology, and so on. In the midst of this, we are called as Christians, to have our identity firmly rooted in Christ and to live life with our focus on Him. However, we are also called not to merely journey through life, watching out for ourselves. Instead, we are challenged to bring the Gospel to the people around us. So, how do you share faith in God with a culture that does not believe in God or feel like they need him? 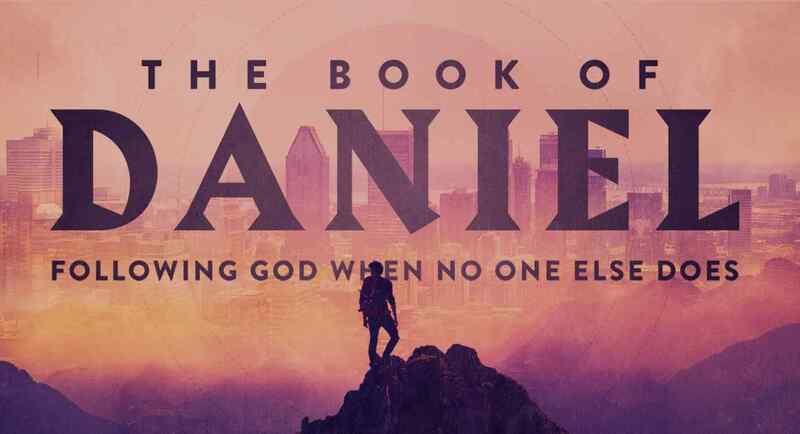 Join us as we explore the book of Daniel in our Sermon series, "Following God When No One Else Does." Here we examine Daniel's life to see how we may follow God in a culture that is opposed to Him and His people. If you missed last week's sermon, you can listen here. How do you protect what is yours? We devote a lot of our effort and invest considerable resources in protecting our possessions in many aspects of our lives. How do you protect what is spiritually yours? How do you keep the world and the enemy from capturing and destroying your God-given identity? Join us as we start a new series in the book of Daniel as we explore what it is to follow God in a culture that is opposed to Him and to His people.